Telugu actor Mahesh Babu is riding high on the success of two back-to-back blockbusters, Dookudu and Businessman. In fact, Puri Jagannath's Businessman was Mahesh's show all the way as he was present in almost every frame. How does it feel to have two back-to-back hits? It's like a dream. It's also a huge responsibility to maintain consistency. It's a complete family entertainer. In fact I had okayed it during the pre-production of Dookudu as it's a fantastic story. 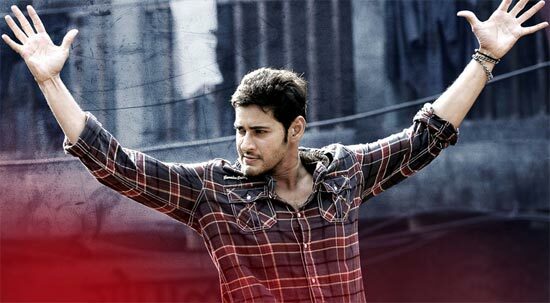 Which of the films did you enjoy – Dookudu or Businessman? I enjoyed both. Dookudu gave a new meaning to commercial cinema and Businessman was a new genre and I had a new character. Both were successful. What made you sign Businessman? I signed up without listening to the full script as I was busy with the dubbing of Dookudu. I heard the full script only after 10 days of shooting. The characterisation was strong and it's rare to get such a role. I let Puri Jagan shoot it the way he wanted to and didn't tamper with it for the sake of formula or comedy as it would have led to the opposite result. The film has a new narrative style and I will always be thankful to Puri Jagan for it. How did you maintain the consistency in the character in Businessman? Since the film was shot in 70 days, it was easy for me. If it had been shot over five or six months, it would have been difficult. I take things as they come. I don't think of character(s) at all. When I get one, I surrender myself to it. Do you have any plans to remake your father's (Krishna) Alluri Seetharama Raju? No, it's a classic. I can't do it. What about the Bond films your father did? Whatever my father did were great films. I don't want to remake any of them. I don't want to experiment for the next five years unless someone comes up with a great script. My wife, my family, my father. If the home is good, all will be good. My father is my inspiration. What happened to the Mani Ratnam film you were supposed to do? You are doing the multi-starrer SVSC with Venkatesh. Are you open to doing more such films? Yes, I am open to doing such films if I like the story. Your father acted in more than 300 films. Would you be able to reach anywhere near that target? I am willing to work every day. I am ensuring there are two releases a year now. If there are directors like Puri Jagan who can do films at a fast speed, then there could be three. Any plans of doing Hindi films? If I get into Hindi, a break may happen here and I don't want that break. People used to say I'm weak in comedy. But, with Mahesh Khaelja and Dookudu, I have proved that I am good at comedy. I'm happy. Do you have any plans of introducing your son Gautham as a child artiste in films? I'm not thinking about it. If he is interested, it's up to him.